Well, February sure flew by fast! It’s the beginning of March and once again, time for the Secret Recipe Club. I had a few recipes in mind when I first checked out my assignment, Cooking Mimi…Micha has great ones to choose from! I ended up choosing this recipe since it went so well with the fried catfish we had a few weeks ago. So soft and cheesy, with a nice little kick to them. And they’re VERY easy to make. We really liked these! Preheat oven to 400 degress. Line muffin pan with paper liners. Whisk dry ingredients together in a bowl. Add rest of ingredients and stir until moistened. 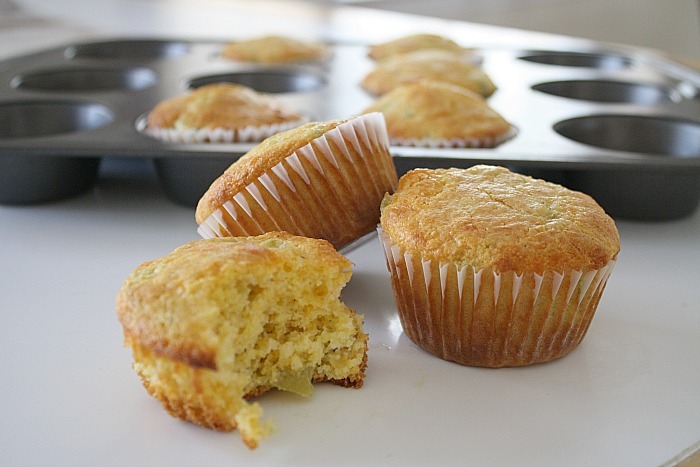 Pour evenly into muffin cups and bake around 20 minutes, or until a toothpick comes out clean. This entry was posted in bread, cheddar, cheese, QuickAndEasy, Secret Recipe Club, side dishes. Bookmark the permalink.